By now you know that I have done the 3 Days 3 Quotes Challenge before, but Fadwa @WordWonders tagged me to do it again and that’s awesome because I love quotes, quotes, quotes! It’s the final day of the challenge and I am not sure what to quote. There are so many fantastic bookish words to live by, but I would like to leave on a good note! One that makes you think everything is possible, because it is! As I’ve mentioned, I’ve done the 3 Days 3 Quotes Challenge before, but Fadwa @WordWonders tagged me to do it again and since it’s so much fun, I am really happy about it! It’s Valentine’s Day! How do I spend such a special occasion? How about sleeping in until noon, watching TV shows and spending an infinite time on the interwebs. However, I feel like I should honour the day at least somehow. So, here’s a lovey-dovey quote! I’ve done the 3 Days 3 Quotes Challenge before, but Fadwa @WordWonders tagged me to do it again and I am really happy about it, because bookish quotes are EVERYTHING! So thanks for including me! You all know how much of a fan I am of Tahereh Mafi’s writing. She has such a unique and beautiful style. It’s really all rather poetic and still so very relatable. I’d like to think that I have done a great deal of things in my life so far, but I have also spent a lot of time with books. Getting to know and learning to love characters from other worlds and paper places, so this quote still rang very true to me! It’s been almost eleven years since Rhea Farrell last wrote to her mother. It was a Friday night ritual – until Rhea’s father decided it was stupid to write letters to a dead person. That was the summer before the accident. The summer before Rhea began to keep her first secret. Now about to turn eighteen, Rhea finds herself alone on the streets of New York with nobody to talk to about the future, or the past. So, just like she used to do as a little girl, she begins a letter with the words ‘Dear Mum’ and tells her mother the things she can’t tell anyone else. 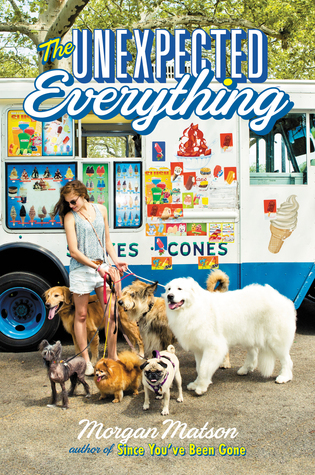 I was provided with an eArc from the publisher through NetGalley in exchange for an honest review. After finishing the story, the first thing I asked myself was, how am I feeling? Mad, Glad, Sad, Lonely or Scared? While reading the book I definitely went through all of these emotions, but I would lie if I said it didn’t take me a while until I really got into it. The book is mostly written in letters and lists, two things I absolutely love, but unfortunately it was extremely difficult for me to empathize with Rhea. The problem is that Rhea has some serious trust issues, which makes it so difficult to really like her. You can feel her hostility ooze off the page sometimes. No matter who is trying to be nice to her, she takes it the wrong way and closes off. I get that her walls are there for a reason. She got hurt by people in the past, in a bad way, but somehow she was in denial about so many things. That was the reason why I had such difficulties connecting to her, really sympathizing with her. However, after about a 100 pages, I was into the story and it all got a lot more intense in the second half. I wanted to know what happens to Rhea and if she will get her life together again. I wanted her to be able to trust people and let them into her life. Her transformation was great and the messages that came with it as well. Silence can be deadly, especially when it comes to traumatic experiences and you need people in your life who care enough about you to tell the truth. Another thing I liked was that Rhea is a really diverse main character. She is a young Irish lesbian girl with a disability being homeless in America – that’s not a person you read about every other day. The thing is that none of those things felt like they were pushed on you to make you like her more. They were all just casual parts of her life, something that made her her. To get back to the question in the beginning, I am glad that I read this book. It gave me an interesting perspective on a unique character (but she could have used the phrase “fifty kinds of crazy” a little less). Fazit: 3.2/5 stars! I had a lot of difficulties connecting with Rhea, but by the end I really cared about her destiny. We’ve established that Top Ten Tuesday is a weekly meme created by The Broke and the Bookish. As 2016 is right around the corner, it’s time to discuss some of our most anticipated books for the first half of the new year! 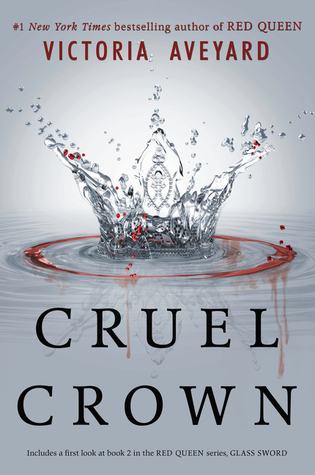 I loved Red Queen, so obviously I am all in for the sequel! Also, there are some characters (well … one character) that have some serious explaining to do! I remember being really confused about A Darker Shade of Magic, because I had no idea it was a series and there were so many things left unanswered. Well, I guess this is how I’ll find out about those unknown components. THIS IS DEFINITELY MY MOST ANTICIPATED RELEASE! 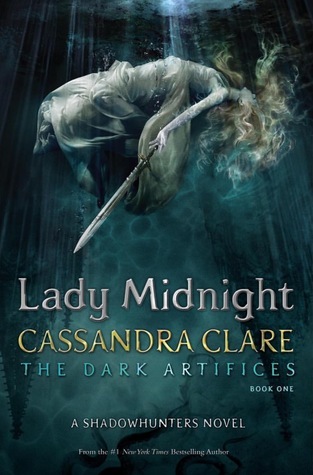 I cannot wait to read another book in the Shadowhunter world and it’s a parabatai-sort-of-love-story too! Perfect! Lucien is apparently getting a love interest of his own – YAY! And I am looking forward to some more time with Rhys, just because! Morgan Matson has a new book? How could I not read it? It’s going to be great! 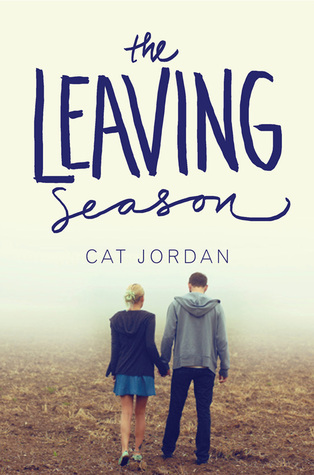 But I might actually wait until the summer to read it, because I feel like her books are mostly perfect for that time of the year. It sounds really heartbreaking, but somehow I am often drawn to those books. 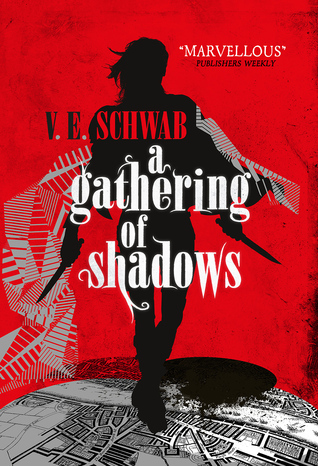 Also, I think the cover looks gorgeous! THOSE TWO WORKING TOGETHER IS GOING TO BE THE BEST LGBTQIA-NOVEL EVER! ‘Nough said! 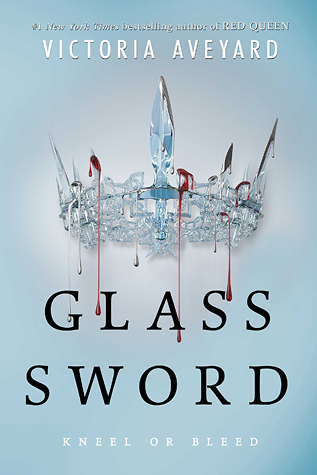 You may wonder why I chose another Victoria Aveyard book, but those are the companion novellas Queen Song and Steel Scars for Red Queen combined in one book. I really want to read it since I haven’t gotten to Queen Song yet. From what I gathered it’s a book with multiple POVs covering the topic of bullying. Somehow those stories always really get to me, so I’d like to read it and see if my suspicions are right that this is going to be an emotional ride. Also, I love the cover! 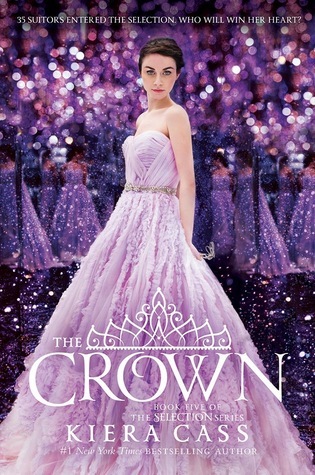 I mean I love all the covers above, but this one is really pretty as well! I think in the end I can say that it’s going to be another great year for books! If you want to know more about the books, just click on the covers and you’ll get to their respective Goodreads pages. What are the books you are looking forward to the most? Don’t hesitate to leave a link to your TTT so that I can check it out! 12 Days of Christmas Book Tag! I have done somewhat of a Christmas-tag marathon the past days, but you can all take a breather! This should be the last one for the year … possibly … maybe … depends on whether I get tagged again. However, before I start on this one, I just want to say that I will take a little break on the 24th in terms of blogging. I might already return for the 25th (Doctor Who and Downton Abbey Christmas Special and such), but I also might take a longer break. It all depends on what exactly will go down this Christmas. Either way, I want to use this opportunity to wish you all the happiest of holidays! Now, the tag! Deanna @A Novel Glimpse tagged me to do the 12 Days of Christmas Book Tag and I am really looking forward to it. Don’t forget to check out her post by clicking on her name! Let’s do this! 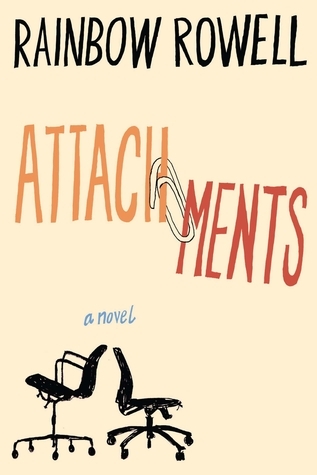 A book that definitely doesn’t get enough love from me, but that I really, really enjoyed reading was Attachments by Rainbow Rowell. I love books that have parts in letter or mail conversations! 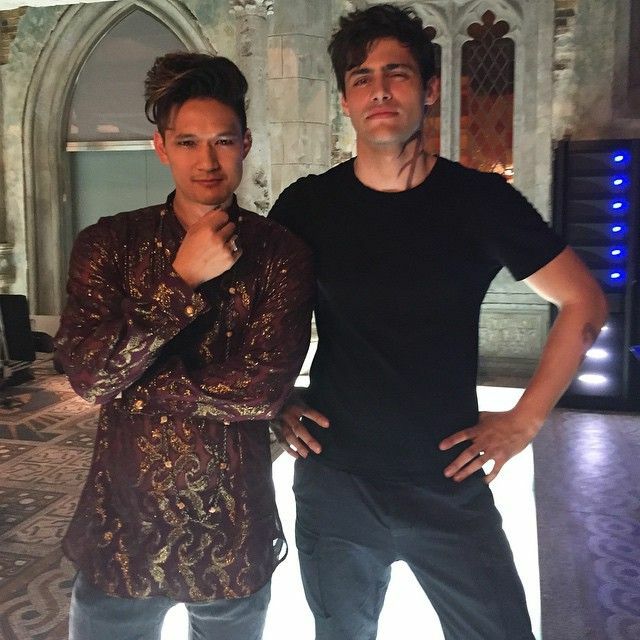 MALEC!!! For everyone who’s read the Mortal Instruments, I hope this doesn’t need an explanation! Hmmm … there were definitely so many good ones! I am so torn between the Infernal Devices and Shatter Me, I am just going to say both! Anna and the French Kiss only has 3 books in the series, but I am hoping for more at some point. There is definitely still room! I am going to have to repeat an answer from a previous tag and say Warner from the Shatter Me series. I am not as much of a Fantasy-buff as some others out there. I also don’t pay that much attention to world-building. 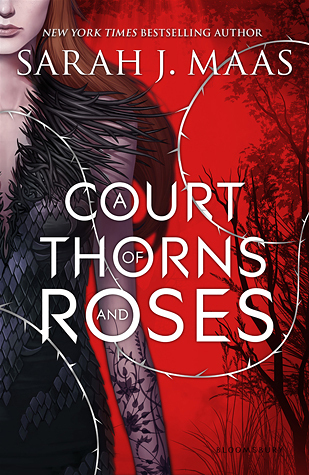 However, I was intrigued by the different courts in A Court of Thorns and Roses and would love to explore that more. 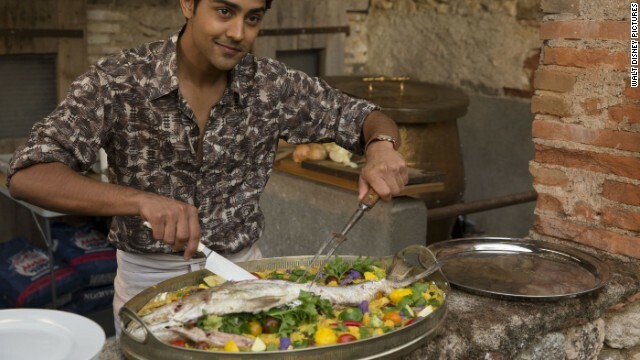 I get really, really hungry just thinking about the Hundred-Foot Journey by Richard C. Morais! Argh! I already mentioned so many books where I like the heroines! Well, I really like Liesel from the Book Thief. She is so young and already smarter than some adults! Marco from the Night Circus is pretty cool! I wouldn’t mind if our fates were intertwined! I can’t really think of a book in particular, but I do love soundtrack for books. Last year I even created a Playlist of my own for Break Up Buddy! 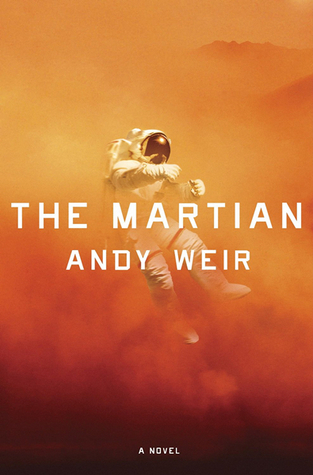 Anyone who didn’t think I would say the Martian clearly hasn’t paid attention this year! 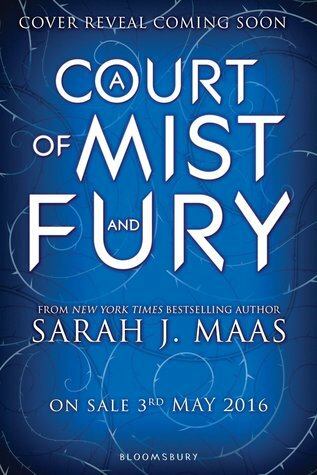 I LOVE THIS BOOK SO MUCH! EVERYONE! It’s so close to Christmas and I don’t know who’s done what anymore. So, if you feel like this tag is for you, go ahead! And once again, HAPPY HOLIDAYS! I know that today is TTT, but I am once again going to skip on it. The thing is that I know that I’ll get books this Christmas, but I have no idea which ones. However, my mum does tend to stop by my blog every now and then and I don’t want her to feel weird when I mention random books I’d like to get that she maybe didn’t even know about. I am happy with whatever book I might find under the tree, so TTT is unnecessary. Yet, I am still going to do a tag that involves the number 10! I was tagged by Rae @Bookmarkchronicles to do the Characters Christmas List Tag. It was originally created by Bianca @The Ultimate Fangirl and Anthony @A Very Awkward Blog. You should go ahead and check out everyone’s post by clicking on their names! I would prepare the best and biggest Christmas dinner ever for him, without using any potatoes whatsoever! I think Watney would really appreciate that! If I could, I’d make Jemma’s torn feelings go away and give Fitz a relaxing day together with her – no interruptions, no doubts, not having to pretend to be strong for the sake of the other one! I love Laney! She’s so funny and witty and I think I would give her a voucher for a dance class of her choice. She has so much energy, she can put that to use there. Why not give something to one of my own characters, right? I’d give Wick the freedom to do anything and everything exciting he wants to do in the real world. Want to ride a motorcycle? Sure, go up ahead and do that! Skydiving? Why not! If you haven’t watched the Series 9 Finale, please do NOT read on! I have warned you!! I’d give her a sonic screwdriver of her own, because she is so much like the Doctor now. She even has her own TARDIS and travelling companion, now she only needs that and voila! Doctor Clara is complete! The Garretts are such a lovely family, but they are also quite big. So, I would give Jase (randomly picked him, just to not pick the entire family) all the money he could possibly need in order to get his entire family and himself some Christmas presents. That way they don’t have to worry about a thing. Considering what all she will have to go through until the end of the Magicians series, I sometimes wonder if it would have been better if they could have erased her memories for good. I know she’s vital to the plot, but there would have been so much less pain for her. I would want Ava to have a real human experience. One where she sees the good side of people, their kindness and empathy and I hope it will transform her. Sansa grew so much on me over time and I think it’s a shame what they did to her in the show. So, for her I would hope that the snow was real, real deep. People who’ve watched the Season 5 Finale will understand!